David LaRocca is a university professor specializing in the philosophy of film. 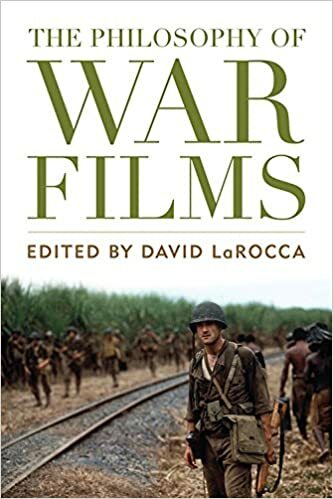 When I opened his book, The Philosophy of War Films (University Press of Kentucky, 538 pp., $30, paper; $45, hardcover), I hoped it would have an essay on the large number of films dealing with the Vietnam War. I scanned the table of contents and soon discovered this book did not. The closest it came was a long, scholarly article on the war films of Werner Herzog, the most important living film director my age or older. So that made me happy. There are essays on Iraq war films, Israeli war films, and World War II films. 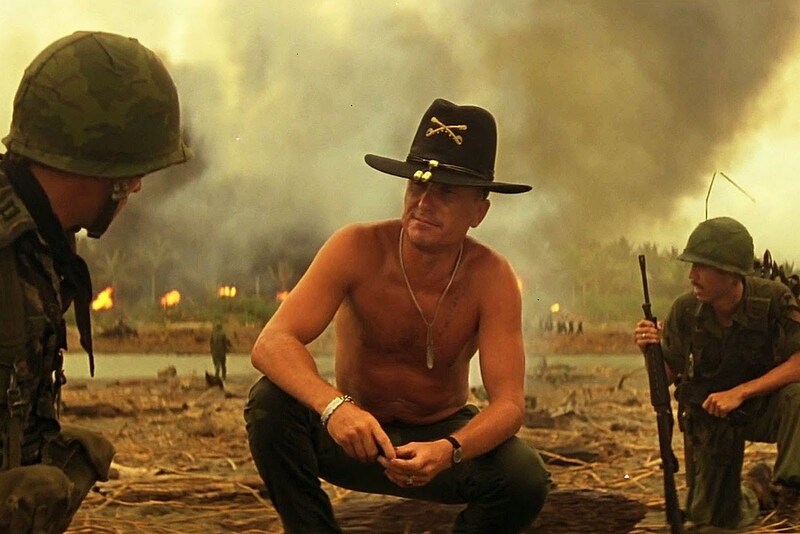 And one on Francis Ford Coppola’s epic Vietnam War movie, Apocalypse Now. I found the prose turgid and hard to struggle through. In fact, most of the book seemed that way to me. I decided that this was not a book written for folks like me. This is a serious book. The article on Werner Herzog, “Profoundly Unreconciled to Nature: Ecstatic Truth and the Humanistic Sublime in Werner Herzog’s War Films,” runs forty-five pages and includes five pages of footnotes. David LaRocca, the editor of this book, is the author. All the criticism you’ll ever need about Herzog’s war films is well-covered in this essay. I highly recommend it—and this book. Of course, there is lots of information on the Vietnam War films of other directors scattered throughout this big, thick book. The excellent index will help you locate that information by searching the titles of the films, the names of the directors, or the name of the war. I found some great quotations about the Vietnam War in an essay entitled “General Patton and Private Ryan: The Conflicting Reality of War Films and Films about War” by Andrew Fiala, who chairs the Philosophy Department at Fresno State University. The eternal question about whether or not a war film is intrinsically antiwar because of what is shown on the screen is debated. Because the Vietnam War cannot be easily viewed as a just war in the way people look at World War II, it makes it difficult to see a Vietnam War film as antiwar. But folks persist in doing just that. If you are interested in reading about the concept of apocalypse as it applies to the Vietnam War, read Bard College Philosophy and Aesthetics Prof. Gary Haagberg’s essay, “Apocalypse Within: The War Epic as Crisis of Self-Identity.” And then there’s “Vernacular Metaphysics: On Terrence Malick’s The Thin Red Line,” by Robert Pippin, a Distinguished Service Professor in the Committee on Social Thought in University of Chicago’s Philosophy Department. This is a pip of an essay on Terry Malick’s excellent movie. I believe the essay that tops them all is D’Youville College English Professor Joshua Gooch’s “Beyond Panopticism: The Biopolitical Labor of Surveillance and War in Contemporary film.” Things in that essay will give you pause. If you’re like me, you’ll read some sentences three or four times and you might scratch your head. Robert Bugoyne’s essay, “The Violated Body: Affective Experience and Somatic Intensity in Zero Dark Thirty” will cause you to reflect on what the deeper meanings of “somatic” really are. I had to rethink my opinion of that film. It’s a brutal one, so it should have been no surprise to me that it provoked a brutal essay from Burgoyne, a University of St. Andrews Honorary Professor in Film Studies. I didn’t get any “blood satisfaction” from the essay, no more than I did from the film itself. I feel a need now to see the film again to take further stock of it. I guess that’s a tip of the hat to the power of the essayist. This paperback edition is much cheaper than the hardcover, which I suppose is meant to make this collection of essays available to the average person in the street. That is, if he or she has ready access to a copy of Webster’s Unabridged. Good luck with this valuable book of essays. Steven Travers, a former professional baseball player, is the author of twenty books, nearly all of them about sports. His latest book is decidedly not about sports: Coppola’s Monster Film: The Making of Apocalypse Now (McFarland, 240 pp., $39.95, paper). If you want to know everything about the famed 1979 film, Apocalypse Now, this is the book for you. Seemingly every detail is to be found between these covers. I recommend that a reader first dive into Eleanor Coppola’s 1995 book, Notes, which also is subtitled The Making of Apocalypse Now, and watch her documentary film, Hearts of Darkness: A Film Maker’s Apocalypse. Then Travers’ book. At the end of it the author includes chapter notes and a bibliography, which will lead you as far as you want to go and well beyond. The book includes only three photos, but they were carefully selected: Cpt. Willard (Martin Sheen) with Crazy (Dennis Hopper); Col. Kilgore (Robert Duvall) in his famous “I love the smell of napalm in the morning” scene; and Francis Ford Coppola, the director, with John Milius, the screen writer, and Sheen. There’s no photo of Marlon Brando. McFarland books are sometimes leaden and hard to read, but this one is very readable. It contains has many good. behind-the-scenes stories. Travers found and interviewed folks who opened up to him and he made the most of that. The book is organized into twenty-three well-written chapters and comes at the reader from a right-wing posture. When the author mentions the singer Harry Belafonte, for example, he feels it is necessary to say that he was a protégé of Paul Robeson, “black Communist.” Travers goes on to say that the entertainment industry was taken over by the secular religion of liberalism, except for country music, “which remains Christian and Republican.” That would a surprise to Willie Nelson, the Dixie Chicks, and sundry other non-Republican country music folks. This book is well worth reading for information on Apocalypse Now, but a certain care is advised. Read with caution.